Our book club was privileged to have dinner with local author, Bettina von Kampen, earlier this week. 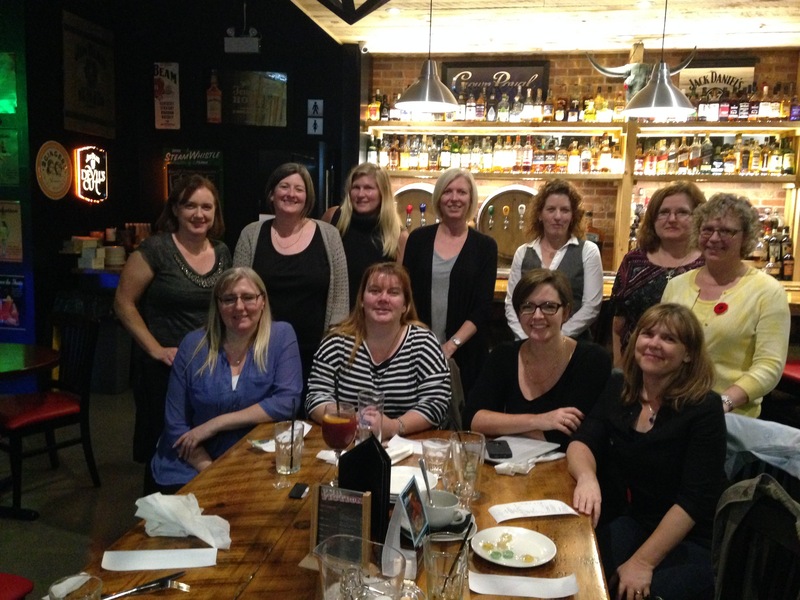 We met at Pub Fiction (the perfect name for a restaurant hosting a book club dinner) and enjoyed a great discussion. Our November book choice was her latest novel, The God Helmet and we had a fantastic time discussing the characters, storyline and publishing experience with Bettina. Bettina was very open discussing the challenges of getting novels published. Despite her success publishing her previous three novels, she struggled with The God Helmet and ended up self-publishing through Kindle. She shared that she enters writing contests and was inspired by her success being a finalist for a Books in Canada award for her first novel, Blue Becomes You. It was great that Bettina could make time to share a meal with our book club. Not only is she published author, she spends her days working as a physiotherapist, is a violinist in an orchestra and enjoy reading – particularly biographies. Her experience travelling and working across the country has inspired her writing. The character Gyola, was described based on a past patient and was a character that a few of us, who work in health care, could easily identify with. We were curious about the restaurant in Warren’s apartment. Bettina shared that she had actually experienced a wonderful meal in a “restaurant” in an apartment. This apartment even had booths – just as it was described in the book. It was very interesting to hear that this novel was inspired by a CBC program describing a experiment by Canadian professor, Michael Persinger (https://en.wikipedia.org/wiki/Michael_Persinger). His neurologic research included the invention of a God Helmet. When asked whether the professor was aware of the book, an attempt had been made unsuccessfuly to connect with him. Bettina was very open to share her experiences and we appreciated learning more about her book and the interesting characters she described. It was a great evening with a group who shares a love of reading. Thanks Bettina! This entry was posted in Canadian, Fiction, Meet the Author and tagged Bettina von Kampen, The God Helmet. Bookmark the permalink.